Robert F. Cathcart, M.D. Robert F. Cathcart, M.D. Robert F. Cathcart, M.D. "The great mass of people will more easily fall victim to a big lie than a small one." Adolf Hitler, Mein Kampf, 1925, The biggest, costliest, and most genocidal lie of the 20th, now into the 21st century, is that you cannot cure or ameliorate all sorts of infectious diseases with massive doses of vitamin C.
Publications by Robert F. Cathcart, M.D. That's no problem, we absolutely know how to cure polio. 1949 — a year in medicine which will live in infamy. Klenner Published How to Cure Polio in 1949. THE MOST COLOSSAL BLUNDER IN MEDICAL HISTORY? Drug-resistant Gonorrhea Spreading in U.K.
Review by Andrew Saul, PhD. EBOLA, will it get us this time around? Google Search for Cathcart and "Vitamin C" yields ~7,810 links. Google Search for "Vitamin C" and SARS yields ~86,900 links. Google Search for "Vitamin C" and SARS and Cathcart yields ~195 links. Google Search for "Vitamin C" yields ~7,520,000 links. Can Vitamin C Cure Deadly Infections And Neutralize Potent Toxins? Obviously!!! Drug Companies Pushing Genocidal Effort to Outlaw all Vitamins and Minerals in Europe Obviously the Sales of Drugs are Inversely Related to Vitamin and Mineral Sales To Hell with the People. Sell those Drugs. Keep the People Sick So They Have to Take the Beloved Drugs. Are these the Descendents of Those Who Made the Gas for Hitler? Genocide is their Bag. Flash!!!! Sloan-Kettering Admits Vitamin C Good for Something.***Finally!! ***Is Hell Beginning to Freeze Over? Publications and reference links below. This site is a takeoff on the Drudge Report that reports on various health problems such as the suppression of vitamins and minerals in the treatment of many diseases by the drug industry and others who profit from the sales and distribution of drugs where none drug treatments work better and would save many lives. Because of all the burns in New York and at the Pentagon, I would like to try again to tell the medical profession, if they would listen, how so much misery and how many infections and deaths could be averted if intravenous and topical sodium ascorbate would be used in the treatment of severe burns. Note that in the above link to Klenner's article, he refers to the ascorbate used as ascorbic acid. Actually, he means sodium ascorbate for intravenous and topical use. This difference is caused by previous labeling practices. Oh yes? And whos they? Comment by RFC: This is a most interesting article that reveals the ulterior motives behind this smear on vitamin C. It is worse than I thought. Link to the article above. Does Vitamin C Cause Cancer - or Here We Go Again, the Linus Pauling Institute Response! Comments from Australia, Archie Kalokerinos, M.D. and Ian Dettman, Ph.D.
Supplementation with Vitamin C and N-acetyl-cysteine increases oxidative stress in humans after an acute muscle injury induce by eccentric exercise, Ian Dettman, Ph.D., and Balz Frei, Ph.D. This link may require Acrobat running in the background. Trade Group Says Negative Vitamin C Stories "Sensationalized"
Vitamin C concentration in gastric juice in patients with precancerous lesions of the stomach and gastric cancer. Here is statistical proof that vitamin C deficiency causes cancer. In this case, it appears that the deficiency is caused by the Helicobacter infection. This fact is as one would naturally expect when they understand the implications of increased bowel tolerance to ascorbic acid orally proportional to the toxicity of the disease. The 1982 Letter from Irwin Stone to Albert Szent-Gyorgyi about Vitamin C and Cancer. Autism is not the only brain damage done by mercury, it lowers the I.Q. below what it would have been normally. If you fully immunize your child, you may not have to pay for a college education. Of course, you may have to pay for a lot for special education and other medical problems. If after reading the links, you still feel you must vaccinate your child, make very sure that the vaccines used do not contain mercury (the name for the mercury preservative is Thimerosal). Stall as long as you can so that the child's immune system can mature more before it is insulted. Wait until the child is at least 2 years old. Stall as long as you can so the child can get bigger. This will lower the concentration of mercury that reaches the brain. Never have your child vaccinated when she/he is even slightly ill.
Never allow more than one vaccination at a time. It is possible that the mercury poisoning of the immune system makes the child susceptible to the brain and gut infection from the live MMR vaccines. Give you child lots of vitamin C before and after vaccinations. Give at least 2 grams of ascorbic acid per year of life (i.e. a two year old should have 4 grams spread out for the day.) Chewable sodium ascorbate, while not as good as ascorbic acid, is better than nothing. Then for maintenance and for trying to pull out some of the mercury in their brain over the long-run, give one gram per year of life up to 10 grams a day the rest of their life. If there are signs of brain damage then see a physician who knows how to chelate out mercury. Substances such as DMSA, DMPS, alpha lipoic acid may be helpful. Do not use alpha lipoic acid unless you know what you are doing because it can, under certain circumstances, take mercury into the brain. Especially if your child has been immunized and shows some brain abnormality, it would be wise not to allow mercury amalgam dental fillings. Another factor with hepatitis B is to realize that it is a very benign disease if properly treated with massive doses of ascorbate, alpha lipoic acid, silymarin, vitamin E, selenium and other supportive nutrients. You have to have a physician available who knows how to and is willing to utilize these nutrients, of course. A major factor which should be considered if you know how to use massive doses of ascorbic acid orally is that these diseases being vaccinated against can all be ameliorated so effectively that the vaccinations are hardly worth bothering with. Even polio can be cured if you have access to a physician who would give intravenous and intramuscular sodium ascorbate. The major problem here is finding a physician who could use intravenous sodium ascorbate in a hospital. From the legal point a view, it would be difficult to utilize this treatment outside a hospital except when the symptoms were early and still mild. One of the major problems is that with very seriously ill patients with infectious diseases, those that need the ascorbate most of all, also may need ancillary treatment available only in the hospitals. 99 out of 100 hospitals prevent the use of the needed massive doses of ascorbate. Vitamin C prevents DNA mutation induced by oxidative stress, Memorial Sloan-Kettering Cancer Center, New York, NY. Finally, I thought that hell would freeze over before Sloan-Kettering would admit that vitamin C was good for anything. But how many generations and how many deaths will be necessary before it is admitted that ascorbate is useful as part of the treatment of almost all diseases. This almost universal benefit is because massive doses of ascorbate neutralize massive amounts of free radicals and free radicals mediate all inflammations. Most acute infectious diseases can be cured if the free radicals are eliminated. Hugh Riordan, M.D. described this. I wonder if they will give him some credit finally. I suppose that we should be thankful that hundreds of thousands of lives, billions of dollars, and more than 10 years too late that someone associated with the orthodox government organization recognizes all this. Ascorbate Web, Read It Yourself. An Outstanding Resource of Articles from Medical Literature on Vitamin C.
Drug companies trying to shove Codex law to outlaw adequate doses of vitamins down the Earth population's throats so as to sell more drugs. This ridiculous attempt amounts to GENOCIDE. JOIN THE MOVEMENT TO STOP THIS and learn how not to need dangerous drugs. His book, Medical Pioneer of the 20th Century, Describes how acute induced scurvy is the cause of SIDS (Sudden Infant Death Syndrome.) His constant fight with the medical establishment in Australia and their refusal to listen to the obvious which would save thousands of infants is recorded. Describes how innocent people are unjustly jailed for the shaken baby syndrome. Describes the injustice of the Australian Nanny case (the most famous case of shaken baby syndrome.) Describes many other nutritional problems of the Aboriginal children which are also present in white children all over the world. See the above book by Archie Kalokerinos, M.D., Medical Pioneer of the 20th Century, who has shown that SIDS is caused by acute induced scurvy. Why is this not investigated? As far as I know there have never been any studies that refute this claim. Is admitting that large doses of ascorbate that terrible? In the reference by Hattersley above one can see the massive number of references on this subject in the literature. This hiding of the efficacy of ascorbate is going from the ridiculous to the sublime. New insights into the physiology and pharmacology of vitamin C with suggestions about investigating intravenous ascorbate in the treatment of cancer. The proposed studies are fraught with possibilities of not making it work if previous patterns of investigating ascorbate are utilized. One of the frequent problems of investigators who have contacted me about investigating ascorbate is that the investigational committees, ethics committee, or pharmacy committee will not allow the investigator to use adequate doses of ascorbate thereby insuring failure of the project. To learn how to treat many cancers with ascorbate, the investigators should contact Hugh Riordan, M.D. Refusing to do that I would suggest no less than 60-120 grams of sodium ascorbate intravenously rapidly infused at a rate of 60 grams in 2 to 3 hours every day for several months. As the tumor resolves, the infusions may possibly be dropped to 2 times a week for a long time. One caution is that if the patient has not been taking ascorbate orally in fairly large doses, they should be started on oral ascorbic acid very slowly if there is widespread metastasis. This caution is because about one out of 100 tumors will suddenly drop dead at the sight of ascorbate and the sudden death of a large tumor mass may kill the patient. This caution was noted in Cameron and Pauling's Vitamin C and Cancer. Additionally, I would suggest a overall nutritional support plan that Hugh Riordan, M.D. could help with. Especially important in addition to the basic nutrients is alpha lipoic acid 100 mg 3 times a day. The in vitro cytotoxicity of ascorbate depends on the culture medium used to perform the assay and involves hydrogen peroxide. This paper is important when one is thinking about how ascorbate could selectively kill cancer and not normal cells. Normal cells have catalase and cancer cells do not. Fred Klenner, M.D. Cured Polio in 1948 with Intravenous Sodium Ascorbate. WHO Says One Polio Strain Eradicated but there are 2 strains remaining affecting more than 28,000 cases a year. Why are not the more than 28,000 cases a year treated with intravenous sodium ascorbate which would cure most of them? You know, of course, that how to cure polio was published in 1949? You didn't know that? I wonder why not. There has never been a paper to counter Klenner's clinical observations. I wonder why not. Here we go again, another hemorrhagic fever. These are diseases that involve so many free radicals rapidly that they cause an acute induced scurvy situation and bleeding starts all over the body. The hemorrhagic fevers can be countered with massive doses of intravenous sodium ascorbate. However, recognition of this fact would bring the general public to the conclusion that massive doses of ascorbate would be helpful in all infectious diseases and that would be a financial disaster for all the drug companies. Remember that polio was cured back in 1948 and that was kept secrete because of the polio industry. The problem is now that if some country such as Iran listened to all this, it would not take a genius to figure out that ascorbate would be a very important weapon in bacteriologic warfare. Again I make the offer that if any allied military source or, like for instance, the CDC will listen to all this and do something about it for the benefit of the public, I will take all references to this of the website. So far, no takers. One of these days, either deliberately or accidentally, one of these hemorrhagic fevers is going pandemic and we are going to be caught with our pants down when the solution is so easy. Are the profits of the drug companies all that important? It is too bad that this woman was not treated with massive doses of intravenous sodium ascorbate. This would have undoubtedly taken care of this problems shortly. The spider bite itself would have been immediately detoxified, any allergic reaction would have been blocked, and any infection would be more rapidly eliminated. Even if antibiotics were necessary to treat an infection the spectrum of activity of the antibiotic would be broadened and any allergic reaction to the antibiotic would be blocked. See the comment on the next entry. See the part of the article by Klenner on spider bites. If you love animals, you should read this. And when you realize that this works in dogs and other animals, why is it not used with humans. It is interesting that these findings are being made in a different continent, Australia. It appears that facts are facts in every part of the world. I have had the experience in treating a warehouse worker with a recluse spider bite where he would have sloughed out down to bone part of his forearm where bitten. However, because of massive doses of vitamin C, you could not see where he was bitten in 24 hours. At least the case of the boy that survived for 7 hours before getting even sick should have been given massive doses of intravenous sodium ascorbate. The ascorbate will detoxify the toxin from the sting and will prevent allergic reactions when used in massive doses. See the part of the article by Klenner on bee stings. Although this study was done on rats (an ascorbate producing animal) anything that works on rats should work even better in humans. The brain of a human who takes ecstacy cannot be proportionately much larger than a rat (rats are smart enough not to take ecstacy voluntarily) but in addition, since humans do not make ascorbate, they should be benefited even more than rats. This disease would undoubtedly be ameliorated by massive doses of intravenous sodium ascorbate. This is because step toxin seems neutralized instantly by sufficient doses of ascorbate. I come to this conclusion because of my experience with strep throats and scarlet fever. It turns out that the usual case of scarlet fever is the easiest disease of all to cure with massive doses of ascorbate. This is because scarlet fever is caused by a allergic reaction to a minute amount of step toxin released by a strep infection which has been left over from an infection which is usually already gone. The ascorbate instantly neutralizes that minute amount of strep toxin so that the disease immediately resolves, sometimes in 15 minutes. In the case of these flesh eating rashes caused by streptococcus, the massive doses of ascorbate would have to be administered until the disease resolves because the infection continues to release toxin until the bacteria is killed. Massive doses of ascorbate also has the advantage of broadening the spectrum of activity of penicillin and prevents allergic reactions to penicillin. I would recommend starting with at least 180 grams of sodium ascorbate (60 grams in 500 cc lactated Ringers in 8 hours 3 times a day). The dosage should be increased and given more rapidly if the rash and fever does not resolve in a few hours. It is possible that the rate should be increased to 60 grams in 500 cc of lactated Ringers in 4 hours or even more rapidly if necessary. In cases where there is some other bacteria involved rather than or in addition to streptococcus, the massive doses of ascorbate would neutralize free radicals preventing free radical deaths if the ascorbate is given soon enough and fast enough. It would increase the spectrum of activity of the appropriate antibiotics and prevent allergic reactions to them. Daily for months massive doses of intravenous sodium ascorbate will dramatically increase T4 cells and prolong lives. This link is a MEDSCAPE AIDS/HIV review of articles on hepatotoxicity of antiretroviral agents. My experience with this subject is that hepatotoxicity can be eliminated or ameliorated by bowel tolerance doses of ascorbic acid, vitamin E, zinc, manganese, chromium, selenium, multiple B vitamins, cod liver oil for vitamins A and D and EPA, silymarin and alpha lipoic acid. The liver under attack wants nutrients, not more drugs. RFC comment: Same as above. The complications of therapy are remarkably ameliorated and the immune system is augmented in its fight against HIV. Vitamin C and AIDS, Articles by Robert Cathcart, M.D. Medical Hypotheses article on AIDS, August 1984. The increasing interesting thing is why, with all the talk about massive doses of vitamin C, particularly massive doses of intravenous sodium ascorbate, being useful in the treatment of acute infectious diseases, won't anyone try to treat these infectious diseases with those massive doses. The answer is obvious, to protect the interests of the drug industry. The genocidal drug companies have managed to get CODEX passed in Europe and it will not be long before they try it in the United States. They have got to outlaw vitamins before the public finds out the truth about how many diseases can be cured with them. Wouldn't be nice to demonstrate how rapidly these patients would get well on massive doses of intravenous sodium ascorbate along with the standard antibiotic treatments. That would eliminate all the free radicals that cause most of the symptoms and death. Although these cases apparently are not part of a bioterrorist attack, it would be very useful to demonstrate the effectiveness of this ascorbate treatment in case of a bioterrorist attack. Plague could be mixed with some respiratory disease to make it spread rapidly and millions would die if massive doses of intravenous ascorbate were not used. But the trouble is that if this were demonstrated, it would be apparent how effective massive doses of intravenous ascorbate was in all acute infectious diseases and this would be a financial disaster for all the drug industry. Note by RFC: All of these severe acute infectious diseases do great damage and kill partly because of free radicals. If these free radicals are eliminated the disease runs a short, more benign course. This neutralization of the deadly free radicals can be accomplished by intravenous sodium ascorbate. I would think that 120 to 180 grams of sodium ascorbate intravenously per 24 hours until much better followed by bowel tolerance doses of ascorbic acid for several more days until the patient feels well would be indicated. This will not conflict with the appropriate antibiotic and make allergic reactions to the antibiotic non-existent. In these cases, all those exposed and certainly all those given Cipro should be given bowel tolerance doses of ascorbic acid. With the first symptoms of anything, these people should be given massive doses of sodium ascorbate intravenously in addition to the appropriate antibiotic. This should prevent the free radical damage to the brain and free radical deaths. College students please read this, you should have enough brains to use massive doses of vitamin C even if most older people cannot figure this out. If you get ill, use oral ascorbic acid and if you are really severely ill see if you can get some physician to give you intravenous vitamin C in addition to the standard care. With meningitis, do not rely on the C alone, take the standard care. However, high doses of C taken soon enough will eliminate the free radicals that might kill you or damage your brain. College students, please pass this information onto your friends. These patients should be given intravenous vitamin C along with the standard treatments including antibiotics where indicated. The IVC would ameliorate the disease considerably and probably save some lives. Sufficiently large amounts of ascorbate easily cross the blood brain barrier and protect the brain and spinal cord from free radical damage. Great. but best not to take immunizations when you are sick like with a cold. In any event take large doses of ascorbic acid orally when you receive an immunization. It does not matter what causes the free radicals, intravenous sodium ascorbate in adequate amounts will neutralize those free radicals. This disease is made more deadly because of the "acute induced scurvy" involved. This means that intravenous sodium ascorbate and later bowel tolerance doses of ascorbic acid should be administered along with the appropriate antibiotic. Not only does the ascorbate broaden the spectrum of activity of the antibiotics against bacteria and works synergistically with the antibiotic, but it avoids allergic reactions to the antibiotic. The susceptibility of sick people to allergic reactions is because of the up-regulation of the immune system while you are sick. This up-regulation is caused by free radicals. If the free radicals are neutralized by massive doses of ascorbate, the immune system, as far as allergic reactions are concerned, is down-regulated so that allergic reactions to the antibiotics do not occur. However, unlike steroids that universally down-regulate the immune system, ascorbate up-regulates the ability of white cells to kill viruses and bacteria. The incidence of meningitis "surges" after the flu because the acute induced scurvy induced by the flu decreases the ability of the body to fight off the meningitis bacteria. Meningitis Campaign: Too Much For Too Few? This article is interesting because it is cost accounting the value of human lives. It is ironic in that a disease that can be treated with intravenous sodium ascorbate in combination with the appropriate antibiotics is being considered too expensive to vaccinate against because more die of road accidents, suicides, and AIDS. Ok, but when a case of meningitis occurs, why not treat it with ascorbate? There have to be some hidden costs of treating with ascorbate for them not to use it. Cannot we see around the possible profit to a drug company. Would it be so terrible to treat the dying cases with ascorbate. OK, OK, if you cured a case of meningitis with IVC, it might occur to a child that IVC might cure a lot of other things, so I guess we have to accept these deaths. Too bad. Ascorbic acid in large doses orally will ameliorate measles. In cases where there is inflammation of the brain, intravenous sodium ascorbate should be used. These types of diseases kill by way of free radicals. This is a very simple situation to solve. You just give massive doses of ascorbate in sufficient amounts to provide the electrons to neutralize the free radicals. The person's immune system then makes short work of the virus. This works with all acute self-limiting viral diseases because they all kill or cause symptoms and complications with free radicals. The president of one of the companies that I have worked with in the past told me this story: In 1976, he and his friend went to a conference in Philadelphia. A few days after he came home, he came down with what he thought was bronchitis. He said that he thought that it would be a good time to try "Cathcart's titrating to bowel tolerance" with vitamin C. So he began taking ascorbic acid in large doses (actually he did not get to tolerance at first). The next day he was not well but he was still working. So he raised the dose. Still no diarrhea; he was not well but still working. Then he heard that his friend had died!!! He went to his doctor who tested his blood and prescribed him erythromycin. The first dose made him so sick that he did not take more erythromycin. He increased the dose of C and after a few days was all well. The blood work had come back by this time and it showed he had had Legionnaire's disease. The conference he had gone to was that famous Legionnaire's meeting. His friend had died of the disease. OK gang, why don't you try this? With a death rate of 20%-50% what could it hurt? Those who are not yet hospitalized can try the titrating to bowel tolerance method (Do see your doctor and take his prescription probably of erythromycin.) However, if you are in the hospital and can get your physician's cooperation, be given intravenous sodium ascorbate. Recovery should be quite rapid. It cannot hurt and may save your life. There is no conflict between ascorbate and antibiotics and the ascorbate will, most probably, block any true allergic reaction to the antibiotic. Maybe it should be treated like murder but who is the murderer? Maybe it should be those who refused to investigate the healing power of intravenous sodium ascorbate. With all the talk about ascorbate curing viral diseases even by the likes of Linus Pauling, how dare the investigators refuse to do even one study on massive doses of ascorbate. Easy, they want to protect the profits of the drug industry at any cost of lives. Let them die on and on, anything but letting the public know how infectious diseases in general can be cured with massive doses of ascorbate. Feed the public studies on ridiculously low doses of ascorbate to prove it is of no value. Anything to protect the profits of the drug industry. In the case of Legionjaire's disease, it is not just the theoretical fact that if you neutralize all the free radicals caused by a disease that the disease will be cured, it is that in this case we actually have a case where a patient used massive doses of ascorbic acid orally who recovered uneventfully. In a crisis massive doses of intravenous sodium ascorbate will be more effective. Let's see which is more important in Great Britain, the lives of these patients or the profits of the drug companies. The massive doses of ascorbate almost always prevents secondary infections. Fortunately, acute Scarlet Fever is usually one of the easiest diseases for ascorbate to cure. This is even after the rash and fever occurs. It is so easy that apparently the ascorbate in adequate amounts neutralizes the strep toxin instantly. With the toxin gone, there is nothing for the immune system to react to. The rash, fever, etc., disappear within a few hours. Penicillin should be used to kill any residual beta hemolytic streptococcus but the dramatic resolution of symptoms has to be due to the ascorbate because it is so dramatic. The ascorbate also protects the patient from allergic reactions to penicillin. Because the disease can otherwise be so damaging, intravenous sodium ascorbate should be used although I suspect that oral ascorbic acid to bowel tolerance would markedly ameliorate the disease. This disease involves free radicals. Therefore, massive doses of ascorbate would ameliorate the disease. During the acute phase of the disease sodium ascorbate intravenously would markedly decrease the symptoms. The appropriate antibiotics should be utilized. The ascorbate will eliminate allergic reactions to the antibiotics. Later, maintenance bowel tolerance doses of ascorbic acid should be utilized. By using intravenous sodium ascorbate properly, the death rate from this virus would drop to almost zero. The Defense Department should really learn how to use massive doses of ascorbate. It would certainly be of help in some of these circumstances described. I do not have experience with malaria but massive doses of ascorbate are bound to ameliorate the disease. It might be that with malaria, the use of massive doses of ascorbate would broad the spectrum of activity of the appropriate antibiotics as it does with resistant bacterial diseases. I do have the experience to say that massive doses of ascorbate will cure acute self-limiting viral diseases. Ascorbate in massive doses will cure or ameliorate a disease in proportion to how important free radicals are in the perpetuation or symptoms of the disease. The secret of the massive doses is that we are throwing away the vitamin C for the electrons carried by the vitamin C. We are wasting much of the vitamin C for the electrons carried. When free radicals are surrounded by a sufficient reducing redox potential (free electrons), they are neutralized. This is a matter of chemistry. It always works. Since acute hepatitis A, B, C, etc., is easily cured with massive doses of ascorbate, intravenously and with follow-up with oral ascorbic acid, it is tragic that it is not properly utilized. Hepatitis C is a special problem because only about a quarter of cases present as acute (when it would be easily cured). Chronic hepatitis C is more of a problem, however with massive doses of ascorbic acid orally, a no sugar diet, vitamin E, selenium, silymarin, and alpha lipoic acid among other nutrients, I have never seen a case to go onto acute hepatic necrosis or cancer of the liver. If massive doses of sodium ascorbate are used intravenously, it will invariably prevent free radical deaths and ameliorate or cure the disease. What is important in this case is that massive doses of ascorbate vastly broadens the spectrum of activity of antibiotics while preventing allergic reactions to those same antibiotics. By neutralizing the free radicals in the tissues involved in the disease, swelling which cuts down on circulation allows better penetration of the antibiotic but more importantly reverses the acute induced scurvy in the involved tissues so that the patients own white cells can resume fighting the infection effectively. It does not matter what the cause of the fever is, if massive doses of sodium ascorbate are used intravenously, it will invariably prevent free radical deaths and ameliorate or cure the disease. The ascorbate should be started even before the definitive diagnosis is made. If after the definitive diagnosis is made there is anything left of the disease (it is likely to have been cured by this time) then the standard treatment can be added to the ascorbate treatment. The ascorbate would even block any allergic reactions to any necessary antibiotics. Let's see if the British value their soldiers more than the profits of the drug companies. I will not hold my breath but if anyone wants to consult on this, I am available to allied military. So, the organism has been identifies as a virus. This means that antibiotics will do no good. Believe me, it would be cheaper to give these men a couple of days of intravenous sodium ascorbate in a field hospital than to ship them out somewhere. Their recovery would be very rapid and reliable. But they will use drugs, after all this is the point, sell drugs. So here is one of these diseases that kill by overwhelming the victim with free radicals. Now it is here in California. What harm could there possibly be in neutralizing all those free radicals with massive doses of ascorbate? IVC followed by bowel tolerance doses of ascorbic acid by mouth would be obviously beneficial. Hopefully, these mice that do not make ascorbate will help some "scientists" understand the use of massive doses of ascorbate. If what we already know works in humans (anecdotal evidence) can be made to work in mice, THAT IS SCIENCE. Are we going to go through another season of people dying of a disease that could certainly be ameliorated by massive doses of ascorbic acid by mouth and, where necessary, intravenous sodium ascorbate? Note that in this disease animals usually survive where 40% of humans die. The animals, of course, have sense enough to make ascorbate in large amounts. Humans cannot make ascorbate in their bodies but can make it in their chemical plants but so far most lack the intelligence to take it in large amounts necessary to cure diseases such as this.. While this report is about the danger in the UK it is concluded that the danger is greater in the U.S. I can guarantee that if physicians would learn how to use massive doses of ascorbate, the deaths and injuries from such an attack would be less. The question is whether his doctors will give intravenous C and whether, if others in the hospital start dying, will they be given intravenous C. Will they allow the acute induced scurvy kill him? Here it comes again. Will they use adequate doses of sodium ascorbate intravenously this time to cure the acute induced scurvy that makes the disease frequently fatal. By adequate doses of sodium ascorbate, I mean around 180 Grams of sodium ascorbate intravenously every 24 hours until the patient is well. Low doses will not work except if they use low doses and it fails, the study would be a publishable paper. The high, adequate doses in the past have not been publishable but maybe one of these years.......... The reason it takes such huge doses is that the massive amounts of free radicals made by these diseases that cause acute induced systemic scurvy are so great that it takes massive doses of ascorbate at a rapid rate to neutralize the free radicals being produced at a rapid rate. Small doses will not accomplish this. Why is that so difficult to understand? The question is whether they will let the West Nile encephalitis kill anyone or will they use intravenous C on their patients before the acute induced scurvy kills them? How long will it be before the public learns that acute self-limiting viral diseases, even polio, can be cured with intravenous vitamin C. Even in bacterial diseases and parasitic diseases, intravenous vitamin C, in these cases along with the appropriate antibiotic, will prevent the deaths by acute induced scurvy. When a patient shows up with a high fever and is in danger of dying, intravenous vitamin C should be started even before what the organism is, is discovered. The intravenous C will broaden the spectrum of activity of the antibiotic and also prevent allergic reactions to the antibiotic. Comments on NEWS coverage on all this. When the first patients come in ill with this disease they could be saved with massive doses of intravenous sodium ascorbate followed by bowel tolerance doses of ascorbic acid orally. No kidding, why don't they use massive doses of ascorbate (the cheapest and most effective antioxidant) that I have known for years to be effective against asthma. Massive doses of ascorbic acid orally and sodium ascorbate intravenously would dramatically reduce the morbidity and mortality from such as attack. We had better quit ignoring the Massive Doses of Vitamin C cures of many of these diseases before it is too late. Even if an epidemic broke out which was 90% fatal, it would take too long for the medical profession to get its act together. I do not look forward to a small population of vitamin C takers left to populate the world. An epidemic of the flu in a country is where they are too dumb to know how to use ascorbate properly. In the US the worst is yet to come . This epidemic is totally unnecessary because we can cure the flu with massive doses of ascorbic acid orally and, in the worst cases (or cases who also have ulcers, gastritis, etc., preventing taking adequate dose of ascorbic acid), with intravenous sodium ascorbate. The flu virus damages mitochondria in the affected tissues which cause the mitochondria to make free radicals. These free radicals damage adjacent mitochondria which cause them to make more free radicals. A free radical cascade results. This massive amount of free radicals destroys all the vitamin C in the affected tissues. Without vitamin C the white cells cannot eat up the viruses. The only thing that saves most is that after a week or so, the antibodies destroy the viruses. Antibodies are turned on by free radicals. In the meantime, the "acute induced scurvy " in the affected tissues may result in pneumonia, sinusitis, otitis media, etc. All this can be averted with massive doses of ascorbate. What we are doing with the truly massive doses of ascorbate is throwing away the vitamin C for the electrons carried by the vitamin C. We are driving the electrons in high concentration (forcing a reducing redox potential) into the affected tissues and neutralizing the free radicals. Incidentally, it also provides enough vitamin C in the affected tissues so that the white cells come out fighting mad and destroy the viruses immediately. This phenomenon is a threshold phenomenon: a high enough concentration of ascorbate and its electrons must be achieved, and then suddenly the free radicals are neutralized. Lesser doses will not accomplish this. If done properly, the massive doses of ascorbate will cure the disease. For God's sake, they can use intravenous sodium ascorbate and stop this carnage. These patients should be given up to three bottles of 60 grams of sodium ascorbate per 24 hours until they are much better, then continue bowel tolerance doses of ascorbic acid until well. If the doctors will not give the sodium ascorbate intravenously then take the bowel tolerance doses of ascorbic acid by mouth and if you have a strong stomach, it will probably save your life. This is tragic. These patients are dying of acute induced scurvy. Intravenous ascorbate should be used in all these flu cases. Ascorbate would markedly reduce the death rate. This Flu is obviously causing Acute Induced Scurvy and this causes the spread into bronchitis, pneumonia, etc., and we will be very lucky if there are no deaths among some elderly. All this could be averted with massive doses of ascorbic acid orally or in severe cases intravenous sodium ascorbate. This is ridiculous. Many people will die if ascorbate is not used. From Medical Tribune: C Is For Crucial Vitamin C is the most important water-soluble nutrient, by Ross Pelton. Comment by RFC: The Medical Tribune, which under the guidance of the great humanitarian and medical prophet Arthur M. Sackler, M.D., followed my early work on vitamin C ( 1, 2, 3), is still in the forefront in reporting the importance of nutritional and integrative medicine ( 1, 2). Concerning the resistant tuberculosis coming out of prison camps in Russia and its inevitable spread around the world: there is good evidence that ascorbate would greatly assist in the treatment of this disease. It would be reasonable to try massive doses of intravenous ascorbate in these encephalitis patients because of the report in the two papers below by Klenner of his being able to cure encephalitis with intravenous C. See The Treatment of Poliomyelitis and Other Virus Diseases with Vitamin C and Observations On the Dose and Administration of Ascorbic Acid When Employed Beyond the Range Of A Vitamin In Human Pathology. Encephalitis virus may spread south. Hypothesized Graph of Normal Increasing Bowel Tolerance to Ascorbic Acid in Hemorrhagic Fevers. The reason these patients hemorrhage is because of "acute induced scurvy." They should be treated with intravenous sodium ascorbate and then ascorbic acid orally as they recover. A lot of people may die unnecessarily of this disease some day soon if this treatment with ascorbate for infectious diseases is not recognized. Viral Hemorrhagic Fevers, 15 viral diseases in 4 families of viruses have been classified as hemorrhagic fevers. What they have in common is that they all suddenly deplete all of the victims vitamin C causing acute induced systemic scurvy. The patient was bleeding from many places. This turned out not to be Ebola but the patient died of a hemorrhagic fever complication of yellow fever. Comment by RFC: Note that these classic cases of scurvy are the result of chronic deficiency of vitamin C. Imagine what happens when a severe infectious diseasse wipes out all of the vitamin C in the body in a few hours. The capillaries hemorrhage all over the body. Some patients with a disease such as Dengue Fever, if they started out in very good health or have early treatment, etc., may not go onto the hemorrhagic stage; but if the disease is able to totally deplete the vitamin C of the body, shortly the hemorrhages start and the white cells cannot fight the virus. Death is almost certain unless the acute systemic scurvy is treated with massive doses of C. The doses have to be massive because the massive amounts of free radicals generated by the disease process destroy the vitamin C at such a rate that the doses based upon the usual concepts of how vitamin C should be administered are many times inadequate. 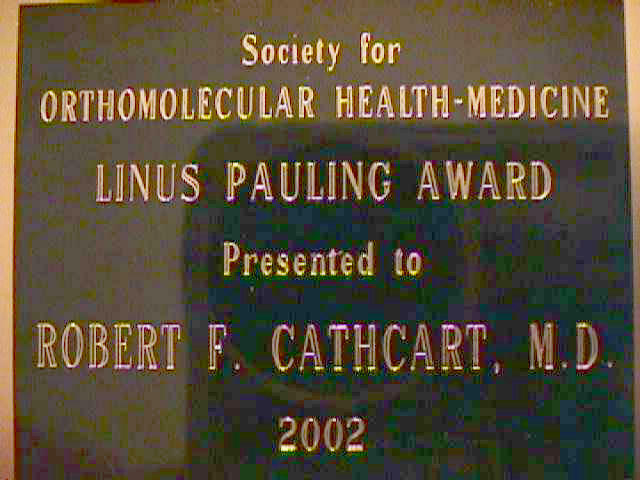 Robert Cathcart, M.D. spoke at the Health Trends 2000 Conference August 27-29th at Radisson-SAS-Scandinavia Hotel, Copenhagen arranged by the Danish Society of Orthomolecular Medicine, "Vitamin C, The Premier Free Radical Scavenger." Slides of the above talk. Special Link about the recent story that Vitamin C causes DNA damage. Doc C's Nutrition Store, listing brands and nutrients commonly used by our patients; presented as an order form for the convenience of our patients and others having difficulty finding these elsewhere. Publications of Fred R. Klenner, M.D. Polimyelitis cured in the epidemic of 1948. The Treatment of Poliomyelitis and Other Virus Diseases with Vitamin C. Comment by RFC: Note that this paper was published in 1949. The Classic Paper by Fred R. Klenner, M.D, 1971, Observations On the Dose and Administration of Ascorbic Acid When Employed Beyond the Range Of A Vitamin In Human Pathology. sodium ascorbate. See my article on how to make intravenous C solutions. Comment by RFC: This paper repeatedly refers to intravenous ascorbic acid. My personal experience, my talking with Klenner, and with his wife, who served as his nurse, would indicate that he means sodium ascorbate when he uses ascorbate intravenously or intramuscularly. Significance of High Daily Intake of Ascorbic Acid in Preventive Medicine, by Fred R. Klenner, M.D. Medical Pioneer of the 20th Century, Describes how acute induced scurvy is the cause of SIDS, Descibed how innocent people are unjustly jailed for shaken baby syndrome, Describes the injustice of the Australian Nanny case (the most famous case of shaken baby syndrome.) Describes many other nutritional problems of the Aboriginal children which are also present in white children all over the world. Abram Hoffer, M.D., PhD., F.R.C.P. (C), Toronto, Ontario, Canada Hoffer's Home Page -Orthomolecular Treatment of Cancer. Bibliography of Abram Hoffer, M.D. Review of Dr. Levy's book by Andrew Saul, PhD. Ask Dr. Stoll, Walt Stoll, M.D. Hugh Riordan, M.D., Center for the Improvement of Human Functioning, Wichita, Kansas. Sydney M. Baker, M.D. and the Children's Development Database. Julian Whitaker, M.D., Dr. Whitaker.Com. 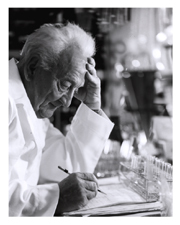 Linus Pauling investigates vitamin C. The History of Linus Pauling's Interest in Vitamin C.
Note that the variable results of some of the studies referred to all can be explained by the size of the doses used. We now know that it is better to overdose, especially with any acute problem, because vitamin C is non toxic and cheap. Therefore, use a massive dose and it works. Pauling's last book, How to Live Longer and Feel Better, refers to my work with bowel tolerance ascorbic acid in seven pages. He had become convinced of the value of the massive doses. The importance of the increasing bowel tolerance phenomenon is that it reveals the magnitude of the free radicals generated by various disease, injury and toxic conditions. Therefore the varying massive doses of ascorbate to neutralize those free radicals. Contributions of Linus Pauling especially on heart disease and the non-reporting of these discoveries by the media. Hoffer's Home Page -Orthomolecular Treatment of Cancer. William J. Rea, M.D., Environmental Health Center-Dallas This site is excellent for those with food, chemical and heavy metal sensitivities. Autism: Treatments, chelation of mercury, by Amy S. Holmes, M.D. Ascorbic acid (vitamin C) effects on withdrawal syndrome of heroin abusers. Bernard Rimland, Ph.D. Autism Research Institute. Cforyourself, An extensive source on Vitamin C.
Plantar Fasciitis, (Heel Spurs) The most effective treatment involves massive doses of vitamin C.
Vitamin C and Cancer: A Review of the Scientific Literature, by Gary Null, et. al. William Crook, M.D. 's Yeast Connection Questionnaire. William Crook, M.D. 's Yeast Connection Questionnaire for Children. Symptoms of Wilson's Syndrome, functional hypothyroidism. The Voice of Alternative Medicine, The Burton Goldberg Group. John T. A. Ely, Ph.D.
Vitamin Paradigm Wars -- A. Hoffer, M.D., PhD. Michael A. Weiner, Ph.D., Herbs that Heal, synopsis of the effects of many of the most useful herbs. H.R. Alsleben, M.D., Our Greatest Biological Catastrophe: Spongiform Encephalopathy Prion Disease Mad Cow Disease. Brain illness kills man and his cat. AIDS: WHAT THE GOVERNMENT ISN'T TELLING YOU, Lorraine Day, M.D. Lorraine Day, M.D. Cancer Survivor. Here is the rather graphic photo of the tumor she endured. Here is another view. Review of Dr. Levy's book on vitamin C by Andrew Saul, PhD. Remember that measles is easily cured or ameliorated by massive doses of ascorbate. Effect of ascorbic acid on plasma cholesterol in humans in a long-term experiment. So even if you believe in the cholesterol hoax you should take ascorbic acid. Combination therapy with vitamins C plus E inhibits survivin and human prostate cancer cell growth. Aneurysm: prevention and nonsurgical repair. Higher doses work much better on allergies, especially hay fever, asthma, anaphylaxis, etc. Antioxidant vitamins and mortality in older persons: findings from the nutrition add-on study to the Medical Research Council Trial of Assessment and Management of Older People in the Community. In other words, low blood vitamin C concentrations in the older British population are strongly predictive of mortality. Yes, but what about in humans. We are way ahead of the mouse doctors. 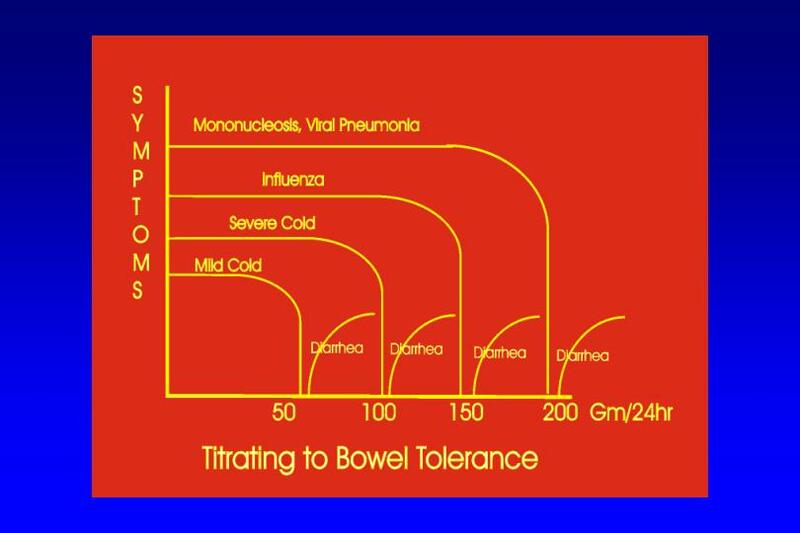 The the article on titrating to bowel tolerance for the doses that work the best. Vitamin C works better in humans than in mice anyway because a mouse is an ascorbate producing animal and sometimes experiments with mice with vitamin C may produce negative results because the vitamin C given the mouse may make the mouse produce less vitamin C. This fact, cleverly ignored, has been used by enemies of vitamin C (drug industry) to produce fake reports about vitamin C being ineffective. What is this "If the finding can be reproduced with a smaller, acceptable intake of vitamin C, this would be of importance considering the large prevalence of osteoarthrosis?" A smaller, acceptable intake than one gram a day? Where have these researchers been? Don't get me wrong. I am sort of thankful that they used any vitamin C at all and I am sure the authors may be taking flack over even trying that. However, anyone who thinks that one gram a day on vitamin C is a high dose and unacceptable either must be a M.D. or live on another planet. Thousands die of NSAIDs each year and no one dies of vitamin C no matter how much they take. NSAIDs are expensive and vitamin C is cheap. Oh! but NSAIDs profit the drug industry while vitamin C does not. grey matter volume determined by MRI in non-demented old people. In other words, those who take vitamin C will be smarter in their old age than those who do not. Maybe they are just smarter in the first place. Most physicians even take vitamin C. They just do not give it to patients for obvious financial reasons. Improvement of peripheral endothelial dysfunction by acute vitamin C application: different effects in patients with coronary artery disease, ischemic, and dilated cardiomyopathy. Oxidative Stress-Induced Dysregulation of Arteriolar Wall Shear Stress in Hyperhomocysteinemia is Prevented by Chronic Vitamin-C treatment. This study shows another reason why vitamin C is beneficial to the heart. It shows that vitamin C along with folic acid counters the damage of homocysteine. At 3 grams a day, they began to see some results. I wonder if the pharmacy committee and the ethics committee at their hospital would let them use 300 grams a day (if a miracle happens and they do approve such a study, remember that massive doses of ascorbate have to be buffered if given IV . That is why I am calling it sodium ascorbate all the time to avoid confusion.) Then they would see spectacular results. Don't get me wrong, this study is a step in the correct direction but at this rate it will be a couple of generations before the true potential of massive doses of vitamin C will be realized and the profits of the drug industry threatened. Effect of vitamin E and vitamin C combination on experimental influenza virus infection. It is probably a good thing to give a little vitamin E along with the C but more importantly higher and higher doses of C should be used. You should give the C until all the symptoms of the influenza are eliminated (neutralize all the free radicals.) So whenever you limit the amount of vitamin C given the experiment does not reflect on how C will work if it is administered properly. Another thing is that mice are ascorbate producing animals so you have to be careful that ascorbate you give them does not inhibit the amount of ascorbate they make. Therefore, experiments concerning ascorbate have little human relevance unless done on man, monkey, or the guinea pig. These animals make not ascorbate themselves. And this is nothing compared to the systematic suppression of knowledge about vitamin C. All of this profits the drug industry. In the 1970's a drug resistant gonorrhea was spreading around King's Beach, California. I never saw a case that did not respond to bowel tolerance doses of ascorbic acid plus the usually otherwise effective antibiotic. Not only did the ascorbate increase the spectrum of activity of the antibiotic to include the resistant strains but it prevented allergic reactions to the antibiotic. Gonorrhea without its free radical cover is nothing and without free radicals, there are no allergic reactions. No wonder the drug industry does not want the public to find out about massive doses of ascorbate. Vitamin C in chronic kidney disease and hemodialysis patients. What about all that propaganda about vitamin C being toxic to the kidneys? Could this be part of the plan to keep people from learning how to use massive doses of ascorbate to cure acute infectious diseases? Pulmonary bioavailability of ascorbic acid in an ascorbate-synthesising species, the horse. Probably they were getting good results an extension of which might reduce the use and therefore the profits of the drug industry. As it has become almost impossible to tell the public that vitamin C is useless, this is the next generation of stalls. Sounds good but it hides the fact that massive doses of ascorbate can cure the acute infectious diseases. At the rate they are using it like in this case 1 gram, they will be able to stall another 100 years before the correct way of using ascorbate will be discovered. Hopefully, theAscorbic Acid Fosters Embryonic Stem Cell Differentiation Into Cardiac Myocytes internet will speed up this process. Check this out. About 50 years too late, but maybe some hope the drug industry is losing it grip on all medical information. patients awaiting coronary artery bypass grafting? This is a joke because we already know how to prevent most hospital infections. All you have to do is to use massive doses of ascorbate. But that would be a disaster for the drug industry because it would markedly reduce the sales of antibiotics. Vitamin C prevents endothelial dysfunction induced by acute exercise in patients with intermittent claudication. All this sounds great and may be of limited help. How about spending some millions on making available and training physicians how to give massive doses of intravenous sodium ascorbate to all patients showing up at emergency rooms with fevers of unknown origin. This would prevent almost all the free radical deaths which includes the acute induced scurvy of the hemorrhagic fevers. But then it would become obvious that all infectious diseases can be cured or ameliorated by massive doses of ascorbate and that would cut the profits of the drug industry. So forget that; let the patients die unnecessarily. They sure didn't give a damn about the polio cure with massive doses of ascorbate back in 1949. This may be true if they will not learn to use massive doses of ascorbate on the coming flu to neutralize the killing free radicals. I have treated hundreds of cases of the various flues over the years and massive doses of ascorbate have never failed to cure or ameliorate the diseases if taken in adequate doses. This maneuver will probably not be done to protect the profits of the drug companies. To hell with the patients. Anything to protect the profits. The fact that polio could be cure by massive doses of sodium ascorbate intravenously has been kept secret since 1949. These views are interesting but they cannot see the forest for the leaves. All of the arguments are based on laboratory tests or on statistical analysis of groups of people. This is fine as far as it goes but unfortunately it seems to hide from them the usefulness of massive doses of ascorbate in the treatment of acute diseases and conditions. The problem is that to force a reducing redox potential onto the tissues involved in a disease, it takes far higher doses than are discussed in this article. Ginter is almost there but is missing the big point about massive doses of ascorbate. I hope this is an honest error and not just part of the plot to preserve the profits of the drug industry. It is typical of what will be an new generation of thought about vitamin C and will be used by many to delay the recognition of the great value of massive doses of ascorbate in treating many diseases. This is particularly sad when we consider the value of ascorbate in treating diseases that might be used in biologic warfare. As with all acute infections, use bowel tolerance doses of ascorbic acid or in very severe cases, intravenous sodium ascorbate. When ascorbate in large amounts is used, it markedly increases the spectrum of activity of antibiotics, prevents allergic reactions to antibiotics, and neutralizes the dangerous free radicals generated by the infection. They should also take CoQ10 to prevent the higher incidence of heart failure with statin drugs. Also be careful about making cholesterol too low. Vitamins C and E: missing links in preventing preterm premature rupture of membranes? Hyperglycemia-induced ascorbic acid deficiency promotes endothelial dysfunction and the development of atherosclerosis. Natural therapies for ocular disorders, part two: cataracts and glaucoma. Can You Tell Me More About The Cancer-Preventing Properties Of Lycopene? Patients with degenerative should remember to avoid tomatoes and other nightshades. Low cholesterol may raise risk of death in elderly. All these cases could be ameliorated or cured with massive doses of ascorbate in addition to the standard care and allergic reactions to antibiotics could be averted. It is the free radicals that kill and cause the severe symptoms, these can be easily neutralized by adequate doses of ascorbate. The massive doses of ascorbate should be especially useful against the cases of meningoencephalitis by neutralizing the free radicals about the brain. The ascorbate easily passes the blood brain barrier. All these cases could be ameliorated or cured with massive doses of ascorbate in addition to the standard care and allergic reactions to antibiotics could be averted. See the comment of the next entry. If anyone knows how to get in touch with any of the people listed in this link, please let me know. Unfortunately, I have found this usually worthless because they are more interested in sounding good than doing anything. The proper use of ascorbate, if well known, would be such a financial disaster to the pharmaceutical industry that the risk of all of us being killed by some disease, curable with ascorbate, seems insignificant to them. Vitamin C and selenium help the body somewhat against mercury. Vitamin C in high doses might help also if live viruses of the DPT vaccinations are causeing autism by way of small bowel lymph node infection and the "leaky bowel syndrome. But more importantly, what is the rush to immunize infants. We should wait until the child's immune system has matured (maybe 2 years of age,) never immunize when the child has any sign of illness, and immunize with one vaccine at a time. If the child become ill before being immunized, taking large doses of ascorbate will ameliorate or cure the disease. These types of infectious diseases kill by way of free radicals. In addition to the appropriate antibiotics, intravenous sodium ascorbate should be administered in massive doses until the patient is mostly well. Additionally, and for several weeks, this should be followed by bowel tolerance ascorbic acid by mouth. These doses of ascorbate both intravenously and orally will mostly prevent adverse allergic reactions to the antibiotics necessarily administered. That is unless they learn how to use ascorbic acid orally or their doctors learn how to use intravenous sodium ascorbate. I wonder if the use of massive doses of C and other nutrients might prevent a percentage of the cancers that otherwise would develop in patients with the SV40 virus? Probably, this is caused by free radical damage to the child'd blood vessels caused by the chickenpox virus. This is similar to arteriosclerosis being initiated by free radical damage to blood vessel walls. Give ascorbic acid to bowel tolerance in mild cases and intravenous sodium ascorbate to severe cases to neutralize the free radicals. This should prevent the strokes later. RFC Comment: Use natural progesterone topically on the skin. See the work of John Lee, M.D. on natural progesterone. RFC comment: Although this article does not directly relate to nutrition, I find it interesting because it implies that prostate cancer may be initiated by an infection. Finally, it has been proven "scientifically" what we have all known for years. Apparently something in cranberry juice keeps bacteria from sticking to the bladder wall. Therefore, when you drink more water you are able to flush the bacteria out. Concentrated cranberry capsules which have the sugar removed probably work better. RFC comment: Although this article is not about nutrition, it is interesting that while cancer of the cervix is caused by the HPV, not all women infected by the virus get cancer of the cervix. Yhis strongly implies there may be a genetic factor here but frequently the expression of a gene requires something such as poor nutrition. This sounds like a great idea. It is only a hypothesis but those doing research of this type should realize that if the virus begins to do undesirable damage to the patient that they could be "rescued" with massive amounts of ascorbate intravenously. Remember that even the wild strains of polio can easily be cured with intravenous ascorbate. This is only a hypothesis but this is the reason that I think that the free radicals generated by infections, which damage cells, should be aggressively scavenged with ascorbate when someone has any infectious disease. This scavenging would prevent damage to cells that make them appear to be foreign to the immune system and trigger off autoimmune diseases in the genetically susceptible person. All this interferon jazz is ridiculous. It is very expensive and has many side reactions. Acute hepatitis C can easily be cured with intravenous ascorbate and chronic hepatitis C can be controlled with oral C to tolerance, alpha lipoic acid, selenium, silymarin, vitamin E, and a multiple vitamin-mineral program. This is inexpensive and has no significant side reactions. I have never seen a case need liver transplant, cancer of the liver, or acute hepatic necrosis. This is not a hypothesis; this works. Maybe this is why massive doses of ascorbate help asthmatics so much. Since ascorbate ameliorates all infectious diseases by scavenging free radicals, we would expect it to help asthma. I noticed a news item last night where websites were graded by certain words they included like inhalants for asthma. This is not graded well because patients treated with ascorbate usually do not need inhalers. Obviously. This liver toxicity can be prevented with oral C to tolerance, alpha lipoic acid, selenium, silymarin, vitamin E, and a multiple vitamin-mineral program. Comment by RFC: They are trying several antioxidants  L-deprenyl, Didox, Imidate, Diosgenin, Euk8, and Ebselen all patented antioxidant drugs. Clinically, in humans I have observed that sodium ascorbate, good old cheap vitamin C, inhibits neurotoxicity. Why do these researchers not try sodium ascorbate in the doses we accomplish with intravenous sodium ascorbate in the concentrations we get into patients with intravenous sodium ascorbate? I gruess they are not getting paid by the drug companies to do this. But why does not someone for the good of humanity try sodium ascorbate? The FDA should never OK an antioxidant drug unless it is more effective, safer or less expensive per reducing equivalents than good old cheap vitamin C.
Is Heart Disease Caused by Infection? This could explain why high doses of C helps to prevent heart disease. Finally!!! This has been obvious for years. Regardless, anyone taking statin drugs should be taking CoQ10 also. Bowel Tolerance Doses of Ascorbic Acid will chamge the life of asthma patients. Most will be able to get off all drugs. Lycopene may reduce the amount of ascorbic acid needed to abolish exercise induced asthma. Usually this is linked to "chronic candidiasis" if a lot of antibiotics have been used. Real progesterone cream should reduce that risk if not make estrogen unnecessary. treatment," Goldmann told Reuters Health in an interview. " This statement can be interpreted that they are looking for a single patentable drug. The problem is that even if the whole herb is effective and maybe even more effective than any individual component, it is not patentable so don't expect the big drug companies and therefore physicians to be very interested in prescribing saw palmetto to you if you need it. Can A Folic Acid Deficiency Cause Depression? I have had 3 lady patients in their 90's in the last few years who have had to give up bridge because they could not remember the cards. After a B12, folic acid, multiple B shot they were able to play bridge again. The last lady won the pot for the day, 2 days after the shot and was complimented on how well she played. Those in Orthomolecular Medicine have known this and advocated this for years. Finally, some are beginning to write about this in peer reviewed journals. It is about time but how long will it take to be generally applied. It is too bad that this had to come out of Japan when the treatments were first used in the United States. Will Fish Oil Lower High Triglycerides? Yes, I have noticed that a cocktail of B12-Hydroxy-Cobal 1000 mcg/ml 1 cc, B-Complex-100, 1 cc, Folic Acid Injection 10 mg/ml, 1 cc injected intramuscularly 2 times a week will restore much of the memory of many patients with senile dementia. Along with a total nutritional program even the progress of Alzheimer's disease will be slowed. Fatty Acids, Antioxidants May Help "Tennis Elbow"
Note the attitude of this report as compaired to the same story under Another Point of View. Ritalin: A Gateway To Cocaine? No kidding.... Since most early hypertension is due to food sensitivities and since large doses of vitamin C czn block most food sensitivities and allergies, higher doses of vitmain C than quoted in the article will lower blood pressure even more. Admitting this must be like having a tooth pulled (It is about 5 years too late.) Still there always have to be the obligatory qualifications. Hopkins Insider: Folic Acid: Time to Supplement? New Flu Strain Could Kill Millions, New Hong Kong Strain. This is exactly what I have been worrying about. Millions would die unnecessarily. While we wait for some drug to be developed, it is ignored that massive doses of ascorbate will take out flues. Linus Pauling was on the correct path but he did not give high enough doses to take out the most severe colds and flues. The trick is to give high enough doses to eliminate all the free radicals generated by the disease process. In this article, it is mentioned that 20,000 Americans die each year of the flu. This is a terrible fact but even more terrible when it is realized that most of these deaths could be avoided if massive doses of ascorbate were utilized. If the worst cases were given 2-3 days of intravenous sodium ascorbate, all but a rare case would be fine. Note that these treatments can be started after the person falls ill, the sooner after the better, but still the massive doses of ascorbate are effective in preventing almost all complications even after the person becomes ill. Oral vitamins C and E as additional treatment in patients with acute anterior uveitis: a randomised double masked study in 145 patients. In 1981, I reported dramatic results in a case of acute anterior uveitis with massive doses of ascorbate. How long are they going to fool around with ridiculously low doses. I can tell you for sure that low doses, such as described in this paper, will give only disappointing to suggestive results because my experience with a large range of doses of ascorbate demonstrated that only the massive doses, as described in my papers, will work. Lesser doses will only prolong the misery of those affected by these conditions which can be cured. Finally, but the doses are not high enough yet. For previous mention of the adequate and proper treatment of exercise asthma with vitamin C see Vitamin C, Titrating to Bowel Tolerance, Anascorbemia, and Acute Induced Scurvy (1981), and The Vitamin C Treatment of Allergy and the Normally Unprimed State of Antibodies (1986). Yes, and if clinical responses mean anything, this up-regulation of the immune system is mediated by free radicals because if one can take massive doses of ascorbic acid, the exacerbation of asthma by various infections and exercise can usually be prevented. In fact, not only do massive doses of ascorbate prevent exacerbations but most patients with asthma who are tolerant to large doses of ascorbic acid can mostly give up steriods and brochodilator drugs. Only massive threshold doses of ascorbic acid near bowel tolerance will provide enough electrons to neutralize the free radicals mediating the bronchospasm. I found this link on the Drudge Report but it comes up with a blank page with just the header. I always wonder what is going on when references like this disappear. I will try to keep on top of this. The reason I was so interested in this is because massive doses of vitamin C (ascorbic acid orally or sodium ascorbate intravenously) is helpul with the Gulf War Syndrome. Subsequently, browsing the newspapers revealed that the suspected drug was a vaccination against nerve gas. Note that the herbs mentioned in this article can increase bleeding slightly as can vitamin E rarely. The two more likely substances to cause bleeding problems are asprin and cod liver oil. Note that the 8 cases a year of paralysis from the live polio vaccines could still be saved from paralysis by intravenous ascorbate. CFIDS is one of those diseases that massive doses of vitmain C help immensely. Comment by RFC: As it becomes more obvious that the Gulf War Syndrome is not a psychological disease (one wonders why anyone would have thought it psychological in the first place,) it becomes more obvious why these patients benefit from the free radical scavenging of massive doses of ascorbate and why they benefit from nutrients and herbs that stimulate circulation, liver detoxification, and nutrition of the brain and nervous system. Comment by RFC: Maybe this is one of the reasons that large doses of ascorbate regularly over a long period of time reduces the incidence of heart disease. Comment by RFC: What about mold sensitivities? Treatment with massive doses of ascorbate? Potassium-Magnesium Citrate Effective In Correcting Thiazide-Induced Side Effects. Comment by RFC: Here is an obvious example where an otherwise useful drug causes nutrient deficiency and can be corrected by large doses of the appropriate nutrients. This would suggest, as has been found by orthomolecular physicians, that there are many more such examples of this principle that are not as yet recognized. Common virus may cause heart condition. Comment by RFC 8/6/98, Maybe this is why Kaposi's sarcoma responds fairly well to ascorbate. Hopkins Q&A: Can Gingko Help Alzheimer's? Colds, Flu Up Heart Attack Risk, note this site removed but read the comment. As evidence of the value of nutrients, especially vitamin C, as illustrated in the articles above becomes more and more evident to the public, researches produce a mass of articles on minute aspects of vitamin C. I have been consulted by many researchers who proposed bold studies of the effects of massive doses of ascorbate. Every time the university center, the ethics committee, the pharmacy committee, etc. deny permission for the use of massive doses of ascorbate and render the study almost useless. Seasoned researchers depending upon government grants do not even try to study adequate doses. All of this results in a massive accumulation of knowledge about very little which gives the impression that there is no more of real importance to be learned. This accumulation of minutia hides the great effects of ascorbate already known by some. The following sites reflect this problem. As you read these learned papers, you will realize that they seem to be completely unaware of the uses of massive doses of ascorbate. One of the most amusing aspects of this research are the speculations and research into the toxicity and other adverse reactions of tiny doses of ascorbate when many have used for years 20 to 100 times the amounts being discussed. Up from 75 mg to 90 mg. Ha! This is a ridiculously low dose. Is Stevia A Good Sugar Substitute? The problem is that many patients who are trying to give up sugar completely, including fruit, are addicted to sugar and frequently have "chronic candidiasis." The candida is causing the patient to crave sugar. (Conventional medicine denies the existence of "chronic candidiasis and so does not know how to treat it.) Having patients eat sugar substitutes is like telling a wineo not to drink wine but to carry the cork from the bottle around in his pocket so that he can smell it in an emergency. I find that patients who get off all sugar for a couple of months do not crave it anymore. Any cheating or using sugar substitutes will start the craving again. A no sugar diet is easier for these people than a low sugar diet. Is Nicotine Good For The Heart? Interesting, but who paid for this study? Possibly, but then they are less likely to get the flu if they are taking vitamin C. Also, if they do get the flu, the symptoms can be ameliorated or cured with massive doses of vitamin C. Also, probably the rare complication of Reye's syndrome can be prevented. The trouble with all these comments about vitamin C in the treatment of cancer is that none of them use high enough doses. Sodium ascorbate administered in doses like 60-120 grams at the rate of 1 gram per minute intravenously 2 to 3 times a week produces peroxide in the cancer cells and selectively kills the cancer cells (See the article, "Intravenous Ascorbate as a Chemotherapeutic and Biologic Response Modifying Agent," by Hugh Riordan, M.D., Neil H. Riordan, PA-C, and Ronald E. Hunninghake, M.D. (Note that alpha lipoic acid used at the same time seems to augment the effect of C on killing cancer.) Any opinions based on lesser doses are evading the whole point, clouding the issue, and delaying this very useful treatment at the expense of many lost lives. I named this effect of C on cancer "the Riordan Effect." I would appreciate it if anyone who knows Dr. Weil would contact him and make him aware of this article. Vitamin E For That Cut? RFC comment: This may be true. Partly it depends upon how soon after healing the evaluation of the scar is done. At first it does look redder. The rashes are a problem for some. It seems to have nothing to do with oral tolerance. However, if one has ever used vitamin E oil on a second degree burn, they know how it relieves the pain in a few minutes, which at least one of my patients years ago said the little rash was worth the pain relief. Aloe juice and particularly 3% sodium ascorbate solution is also good on burns without the problem of allergic reactions. Interesting, if true. This is why I am so fanatical about brands. This article clearly spells out part of how drug companies think. Did you know that your health is subject to this kind of thinking? Wake up. I find this article amazing. It is the first time I have seen a source like Harvard say that there is any value in eliminating nightshades and other possible food allergins in arthritis. It is about time considering that we have known this for years. How about approving a no mercury immunization? Can My House Be Full Of Toxic Mold? Is Fibromyalgia A Pain Messenger Problem? Since fibromyalgia is a frequent symptom of the chronic fatigue syndrome, I guess his conclusion would be that if a person has a cough with a cold, it is psychological. If you do not understand the disease, blame it on the patient. Am I Allergic to Running? Exercise increases the formation of free radicals. Sometimes this is enough in some people to develop urticaria and other signs of anaphylaxis. Massive doses of ascorbate will prevent this by neutralizing these extra free radicals. This is a report we should take very seriously. It is true that vitamin C can treat asthma very successfully. The problem is that with allergies the vitamin C is destroyed in the body far more rapidly than in a perfectly well person. This fact means that in serious cases of asthma, the vitamin C in food is not adequate. Vitamin C, in the form of ascorbic acid by mouth taken to bowel tolerance will change the lives of most children with asthma. Usually, drugs can be abandoned. What Is A Good Vitamin Supplement For Carpal Tunnel? This answer in frightening. Physicians in general have been cutting vitamins for so long that they do not know the basic things about nutrients. Vitamin B6 in the form of pyridoxine will help only a small number of patients with carpal tunnel syndrome. These would be the patients who have an absolute deficiency of B6 in their diet, which is rare. This finding was made by John Ellis, M.D., described in Vitamin B6: the Doctor's Report and in The Doctor Who Looked at Hands. His patients where often women who ate a lot of well done beef. B6 is heat volatile. I found that in California, the land of fruits and nuts, that true B6 deficiency in the diet was rare and that the problem is that the patient lacks an enzyme that converts pyridoxine to P5P, pyridoxal 5 phosphate, and then the P5P goes off into the body and does B6 things. Therefore, one should take P5P. This is a basic example how in orthomolecular medicine we often bypass a metabolic block. The other thing is the comment that B6 can be dangerous. Yes, it can cause numbness and tingling, even finally a temporary paralysis but this is really not due to a B6 toxicity; it is an induced deficiency of other B vitamins causing beriberi or pellagra. Anyone in orthomolecular medicine knows that you never give large doses of B6 without moderate doses of the other B vitamins. If non-orthomolecular M.D.s would stop cutting vitamins, they might learn how to use them. Note the attitude of this report as compared with the same story under Health News. This is the story that trigger off all this nonsense. See the next 4 links. Discussion of this big lie by the Vitamin C Foundation. This pretends to be a balanced report but note the advertisement at the top, CBS Health Watch. I wonder how many drugs CBS advertise whose sales would be hurt if the public understood the proper use of vitamin C. The report originally came from ABC that advertises drugs. And as for NBC, about 1978 their reporter who had just won the Peabody (the rattlesnake in the mailbox story) did a piece on my work up at Incline Village. She had two photographers who were shooting up film on several of my patients who had been cured suddenly of several infectious diseases (especially on the treatment of hepatitis) with intravenous vitamin C and massive doses of ascorbic acid orally. She said this was the best story she had ever done (better than the Peabody winning report?) but the story was squelched the day it was to be aired. I wonder if they still have that story in the can in their library. Photographers from PBS came to my office in Los Altos and did a story on my treatment of AIDS with massive doses of C. They were very impressed but when the story was aired by Spencer Michaels a few nights later, the pitch was that it was quackery. For 3 years straight back in the early '80s, writers who claimed to be writing for the National Enquirer interviewed me about massive doses of C. The last time, I refused the interviews at first saying that they would never print it and we would be wasting out time. The reporter was a nice guy and said they printed stuff like this all the time. So I gave him the interview. Three months later he called me and said that I was correct, they would not print it. The fact of the matter is that news on massive doses of C has been kept secret by the major media. I suspect because their advertisers would not like it. The cost of this in lives and medical expenses has been enormous. These are ultrasound studies that show, if we can believe it, thickening of the walls of the carotid arteries. Maybe this is the muscle layer around the artery. Arteries carry blood at high pressures and thin some as we age. Maybe, this thickening as a sign of the strengthening of the artery wall. I will have to see more details of this study to know. There has been absolutely no clinical evidence of this. I have put over 25,000 patients on high doses (2,000 to 300,000 mg/day) of C since 1969 and there has been no sign of increasing arteriosclerosis is any of them as far as I know. If this report is true as headlined, my practice should be full of patients with arteriosclerosis of the brain. Remember that the drug companies want to put a bad rap on vitamin C. As the public accepts vitamin C more and more, there will have to be more scare stories put out to prevent the decrease in sales of DRUGS. One very subtile fact is that by scare tactics arguing over 500 mg doses of vitamin C, they completely hide the fact that to get dramatic cures of some diseases it takes 50 to 200 grams or more (50,000 to 200,000 mg or more) of vitamin C. The amazing thing is that these huge doses do not cause these troubles but they keep us worrying about a pitiful 1/2 gram or 500 mg. Really. They want something to be the matter with massive doses of vitamin C to cause some trouble so badly, they can taste it. Anything said against vitamin C will be accepted as fact. Never mind that it has been known since 1949 that vitamin C in massive doses can cure polio and other acute self-limiting viral diseases and many other diseases. We shouldn't talk about that but should tell as facts the slightest speculation against vitamin C.
You would think that these physicians would feel obliged to come to meetings of doctors who have been using megadoses of C for years before popping off as experts. There are meetings where several hundred MD physicians meet to discuss nutrients but the "orthodox experts" never attend these meetings. I guess that treating thousands of patients with nutrients and comparing notes with many other physicians who use these nutrients and the reading of journals on these subjects makes one a quack. It is strange where if you have experience with nutrients, you are a quack but if you have no experience with nutrients, you are an expert in nutrients. One would hope that some day these experts would become more than drug pushers. It is interesting to see a subject like vitamin E being good for the heart being written about by the experts and never giving the Shute brothers any credit. I am interested in who will discover titrating to bowel tolerance with ascorbic acid years from now so I can apologize to them for plagiarizing their work back in the '70s. Maybe this is why there are no progressive articles about nutrients in the peer review literature. Note the interesting bias. Even though the study was done with Vitamin E capsules, it is said that natural foods are better. And then quiting smoking is emphasized. Anyone dumb enough to smoke in the first place is not really interested in their health or children around them. This article should be primarily interesting to non-smokers. Comment by RFC: I have worried about silver being used systemically because it is classified as a toxic mineral. However, topically applied, it seems to be effective against many infections. If I was still doing orthopaedic surgery, I would try silver plating pins uesd to fixate or apply traction to bones where the pin protrudes through the skin. Many women have found that silver or gold earrings do not get infected where other types may. Comment by RFC: I really did not know where to put this article because it just illustrates a point of how much money and how many souls will be lost over a subject that is easily treated. So far, I have never seen a case of acute viral hepatitis which was treated immediately with intravenous sodium ascorbate in the acute stage which ever persisted and went on to the chronic stage. Usually, the jaundice is cleared in 4 to 5 days. The SGOT and SGPT start dropping precipitously after the first IVC. The patient feels better in 2 or 3 days. Apparently the skin is stained and that is why the jaundice takes so long to go away. It confounds me as to why this inexpensive, simple, nontoxic treatment will not be applied to patients. Comment by RFC: The amounts of vitamin C advised here are too low even for well people because of the toxic contaminations in our environment. However, the major problem of this article is the complete misunderstanding or ignoring of the potential of massive doses of vitamin C in the treatment of various diseases such as infections of all sorts, trauma, surgery, burns, autoimmune diseases, prevention of most allergic reactions to antibiotics, the reduction of complications of chemotherapy and radiotherapy, acute pain, etc.. Additionally, the existence of chronic conditions in the patients body such as undetected allergies, chronic pain, all sorts of stress, EBV, CMV, Hepatitis A thru C and +, Herpes 1 thru 6 & +, HIV 1 & 2, over-colonization of the gut with yeast, parasites, and some unwanted bacteria, and many other as yet undiscovered organisms, etc., generating free radicals have to be considered in determining the proper dose of vitamin C in a particular person. This reference from Johns Hopkins warns about the use of beta-carotene by smokers and people who have had exposure to asbestos in the past. This warning should be heeded. See below how the the law is after the Quackbusters but now the same people have a new organization to continue their propaganda. The National Council Against Health Fraud, Enhancing Freedom of Choice through Reliable Health (mis)Information. See the latest on how the idiot Quackbusters are taking gas! Quackpot Barrett Crushed in Federal Court - Again.., June 25, 2003. I advise that you first look at the Quackwatch website (the following link) and then read the various exposures of the character of the people behind them. You will then understand the dangerousness of this type of thinking. Unfortunately, much of orthodoxy relies on such as Quackwatch. The effect is genocidal. Quackwatch - Operated by Stephen Barrett, M.D. Read how backward and harmful Quackbusters are. The big problem is that many orthodox doctors believe this junk. The public is finally finding out about the genocidal damage that these quackbusters have done to the public. Women, children, oldsters and most others have been damaged or killed by the pushing of drugs where nutrients would do better. Essentially, Bob Sinaiko's crime was to recognize the role of food allergies in the treatment of hyperactivity, and refused to drug children as demanded by the quackbusters. So the bastards put this honorable, creative physician through hell. This is one of the major reasons why real medical progress is so slow. Medicine is so demoralized by this conspiracy and the malpractice crisis that you are lucky to get an English speaking nurse in the hospital. Wages have to be cut so that hospitals can afford all the nonsense caused by the malpractice crisis How can you expect that they tell the difference between right or left or A, B, O, AB, (+) or (-) if they work in a Tower of Babel or just don't care. It is difficult to love your job in medicine these days. Doctors are taught to and expected to use drugs, drugs, drugs. Creative people no longer want to go into medicine. No wonder mistakes are increasing in incidence and that those who still go into medicine do not care. Under current circumstances, it can only get worse. Lack of progress accumulates like compound interest. Of course, the malpractice attorneys love this. I estimate that for every case of malpractice prevented under the present system, thousands of people die, are maimed, or suffer unnecessarily because of the demoralization and retardation of medical practice. The tragic thing is that the average person does not even know when they are a victim of all of this They have had standard practice of the community medicine. It will get worse and more expensive. Who are these so-called "Quackbusters"
Quackwatch-Quackpots falsehoods being revealed in court. Please read this and see if you can help. Stephen Barrett, M.D, on Linus Pauling and Vitamin C.
Hopkins Q&A: Which Studies to Take Seriously? When reading this, bear in mind biochemical individuality. You should care how a drug affects you, not how it affects a hundred or a thousand other people. Juice Bars: Too Many Vitamins? Content (C) 2005 and prior years, Robert F. Cathcart, M.D.